Stoic Week 2015 Day 6. Resilience. From Marcus we get some more wisdom to strive for. 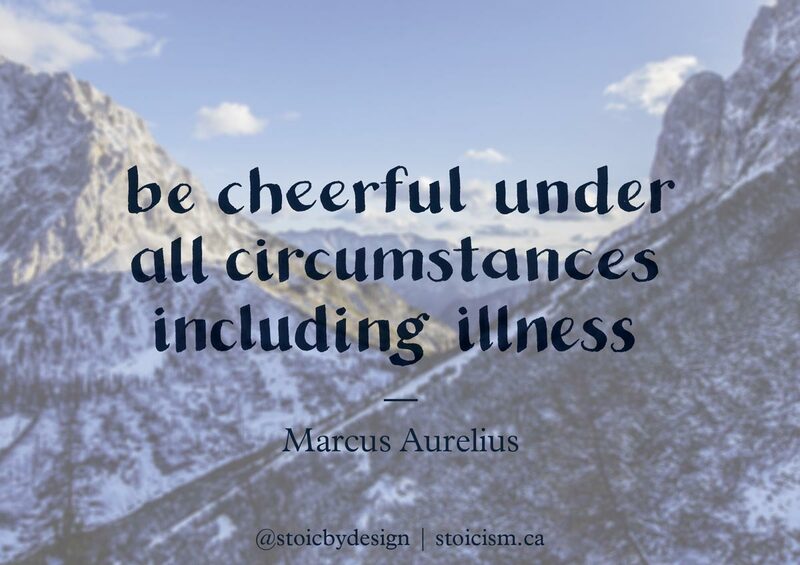 Easier said than done, as I find most Stoic maxims, but I interpret “be cheerful under all circumstances including illness” to not just be about putting on a brave face, but genuinely accepting that so much that happens in life is up to chance and outside of our control. Share in the comments below how you try to keep cheerful when facing life’s adversities.